All Payments Expo Blog: RushCard: American Dream or Enabling American Debt? RushCard: American Dream or Enabling American Debt? "I never really knew the American Dream consisted of having a piece of plastic that puts people further and further in debt. 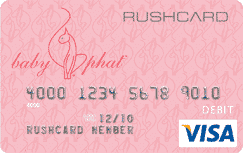 "The RushCard is a prepaid card, NOT a credit card. It gives people the convenience of a credit card without the debt. I have watched with pride the way RushCard has changed the lives of hundreds of thousands of people giving them respect and dignity. It gives underserved communities the tools to get their money right." What do you think about the feud between Russell and Watkins? Ultimately, Simmons has a point--the Rush Card is a prepaid card--so it's impossible to "go into debt," as Syracuse finance Professor Watkins states, simply by using the card. Fees are ultimately going to remain as a component of open-loop prepaid cards. No financial institution, whether a bank or a prepaid card program, is going to offer products without seeking some sort of financial return. Additionally, if the Rush Card fees were truly out of line with the market, it's likely that consumers simply wouldn't use it (much as banks that nickel-and-dimed customers with fees watched them migrate to lower-fee accounts at other institutions). Does Professor Watkins raise some valid issues relating to the availability and access of traditional banking services for disvantaged and minority customers? Certainly, but it appears that his anger is misdirected, as Simmons saw a market opportunity that satisfies a business objective while offering a convenient and useful product to an underserved market. How do consumers look at prepaid cards?